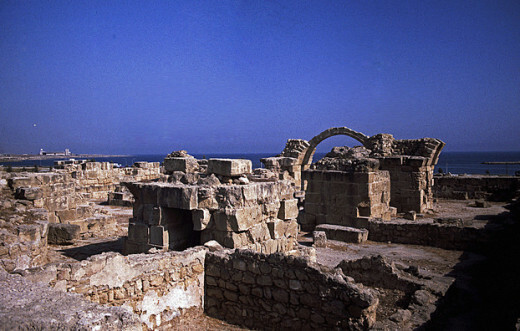 Did you know that Up until the middle ages Paphos was the capital of the Mediterranean island of Cyprus? 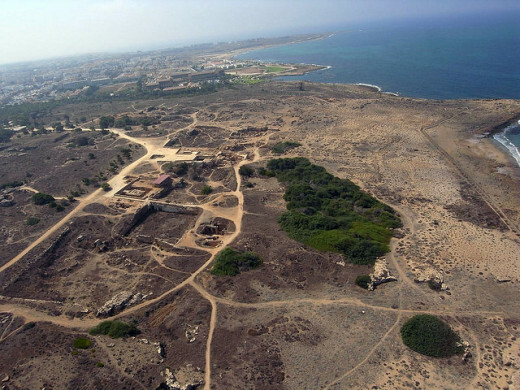 Or that Paphos was a major city during the Roman Era, or that it was a cultural and religious hub in antiquity? The entire city of Paphos has been included in the UNESCO World Heritage List due to the abundance of cultural and natural treasures the city unfolds! 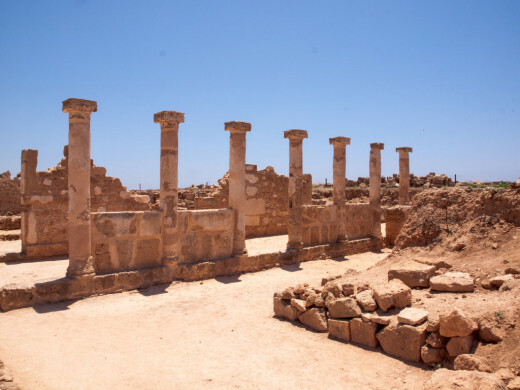 Below I have put together a list of some of the best must-see sites in Paphos you all need to explore when vacationing on the isle. Feel free to add you favourites too! 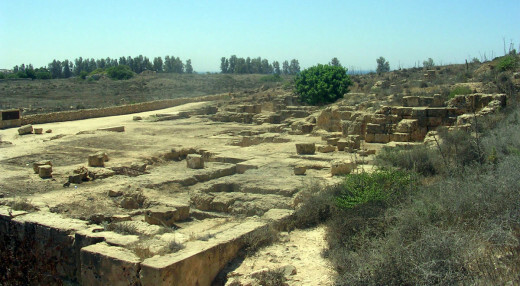 Upper Paphos, known as the Ktima area, is the modern part of the city which in the past was separated from the old town. 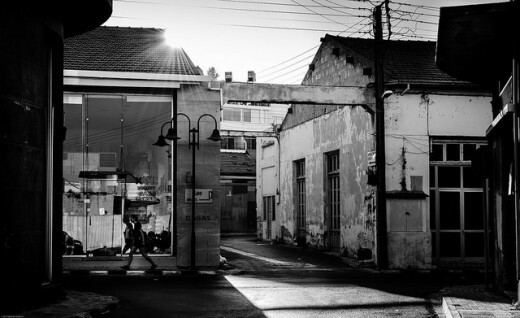 At present, Ktima has developed so much it is hard to distinguish where the new ends and the old begins. 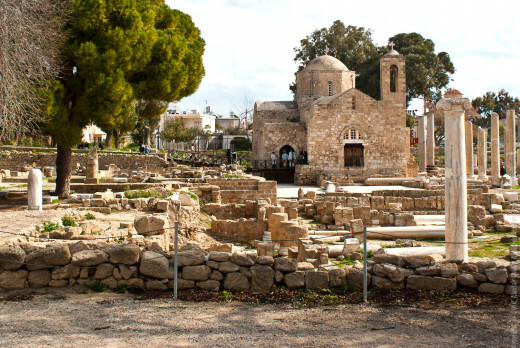 Kato Paphos is the Old Town, where the traditional character of the neighbourhood has been maintained. 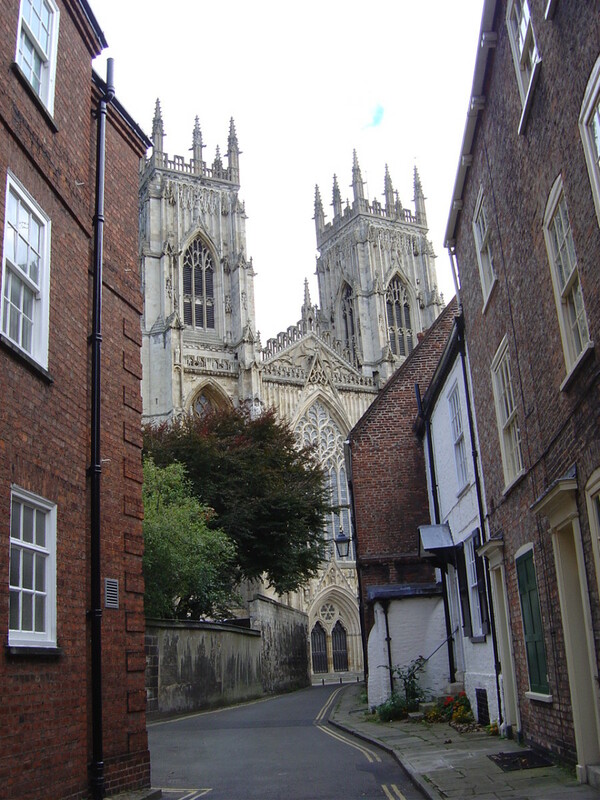 Strolling through the alleys is as if taking a trip into the past, where the majority of sites still stand as they did thousands of years ago. Petra tou Romiou is a legendary spot and a must-see for two reasons. First, this is where Aphrodite, the Greek goddesses, was born emerging from the foam of the sea. Also, in this exact spot a brave Byzantine soldier named Digenis Akritas threw massive blocks of rock to Arab pirates attempting to invade the island. The picturesque Paphos harbour is a tourist’s dream, decorated with numerous tourist shops, jewellery shops, and shops selling locally produced handicrafts. 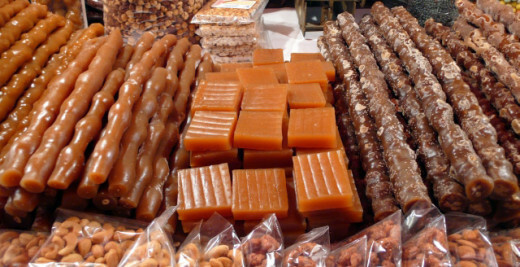 There are also cafes, taverns and restaurants. Strolling through the harbour is a real delight as you will meet the city’s celebrity, Kokos the pelican! The harbour is mainly a fishermen’s port, but you will also find boats taking tourists to Lara Beach, Blue Lagoon and many other remote bays. 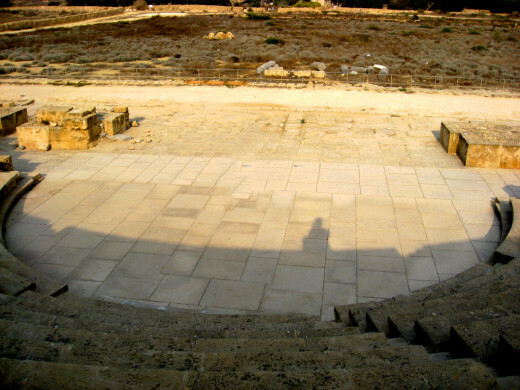 The ancient Odeon is traced back to the 2nd century. 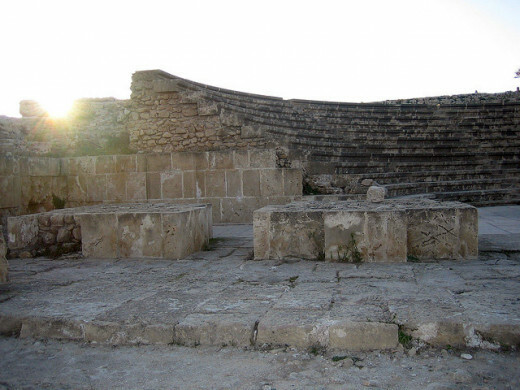 It is a semi-circled structure made up of a stage and 12 rows of seats completely made out of limestone. 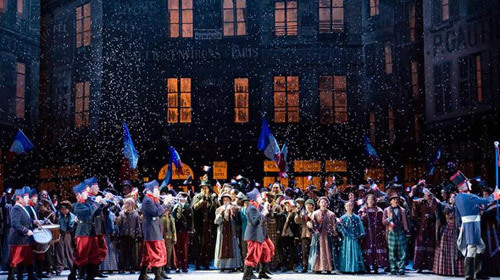 Musical and theatrical performances are still held at the Odeon all through the summer months. Near the Odeon lie the remains of the old city’s walls and its Roman Agora, a huge plot used as an open-air market traced back to the 2nd century. All Greek cities have one thing in common-their Acropolis! 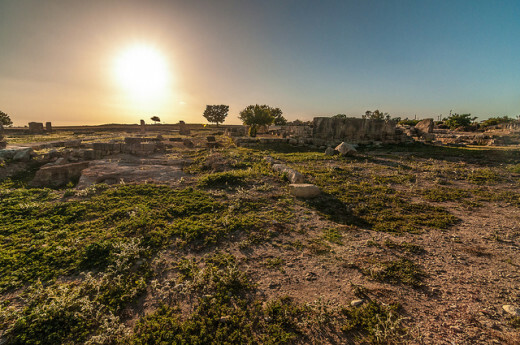 Although little has survived from the Acropolis of Paphos, it is still a must-see! A group of ancient buildings that were used as Asklepion’s temple and shrines. Asklepion was the god of healing in antiquity and had many disciples. 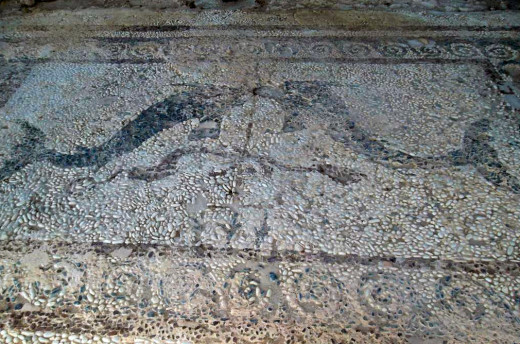 A Roman-style palace decorated with elaborate and well-preserved mosaic floors. 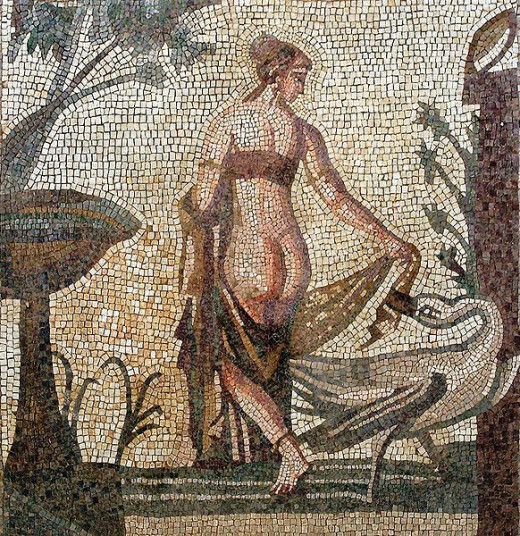 The mosaics are famed for their beauty as well as being the finest throughout the Mediterranean region. 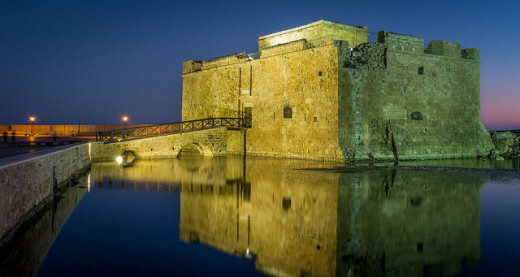 Overlooking the Paphos harbour stands the city’s Medieval Fort carrying a long and turbulent past. Initially built by the Byzantines in order to protect the city’s harbour from enemies, only to be dismantled and re-built by the Lusignans. The fort was again destroyed by the Venetians and re-constructed by the Turks in 1592. The 40 columns, hence the palace’s name, were built in the 13th century by the Lusignans and added to the already standing Byzantine castle on the site. The initial castle was constructed by the Byzantine during the 7th century. Although most of the castle is in ruins, the dungeons and towers are still standing, inviting all to explore! An aristocratic ancient necropolis dating back to the 4th century, where the tombs were carved into actual rock and decorated with Doric-style pillars, wall paintings, and other architectural embellishments. Kings do not lie in the tombs. 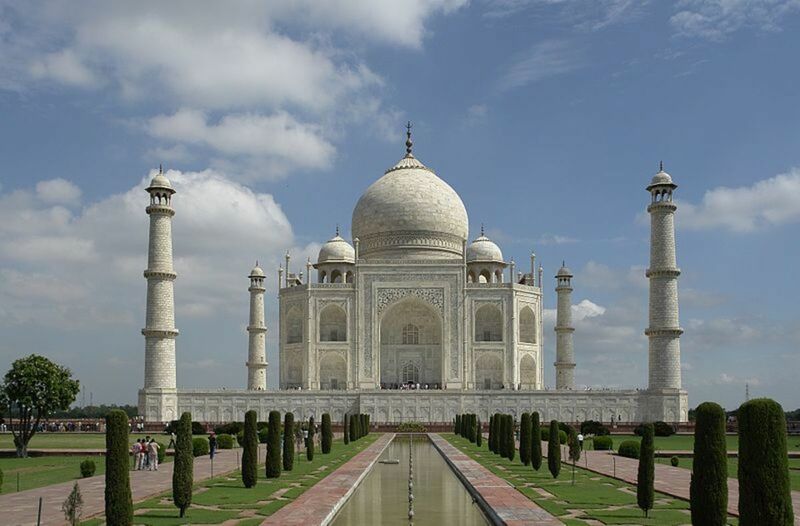 The area was given the royal name due to the tombs magnificence. 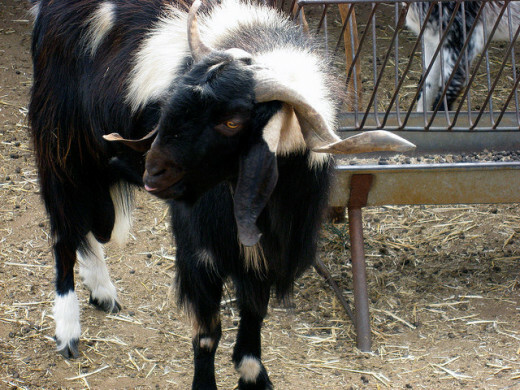 Paphos Market or Agora is an open-air bazaar where local villagers gather to sell their products. It is a colourful and buzzy area, full of life and lots of goods to take back home! Fabrica Hill is a tall and rocky hillock where chambers with roofs and wall paintings were carved out of the rock. An inscription found on the site reveals that the chambers were built during the 3rd century. The Sanctuary of Aphrodite dates back to the 12th century. This is the place where rituals were performed in the goddess honour. It is said that Aphrodite, the goddess of Love and Beauty transformed into her human form here. 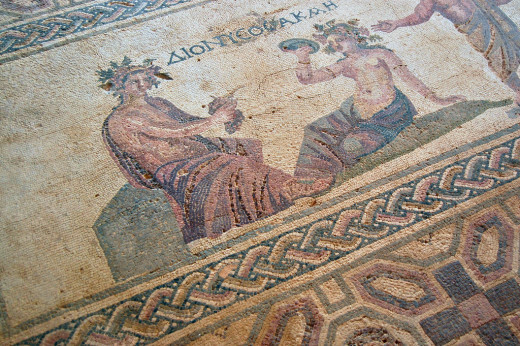 One of the most noteworthy Roman Villas found in Paphos is the House of Leda, which contains the Leda and the Swan mosaic-probably the most renowned mosaic found on the island. 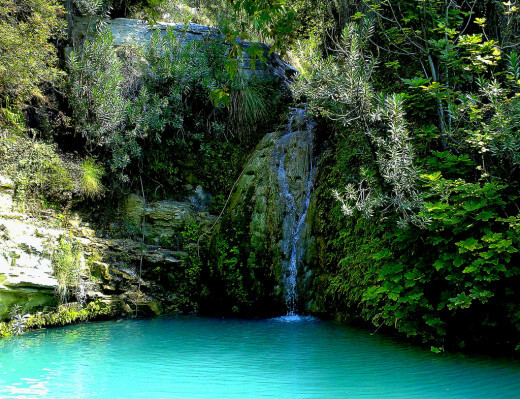 Adonis Baths is one of the most beautiful natural settings on the island. 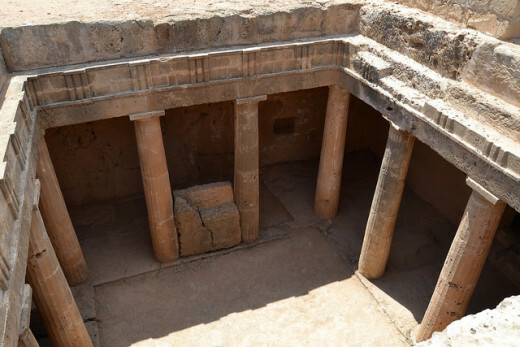 According to legends, this is the place where Adonis and Aphrodite created their family and apparently the people of Paphos are their descendents! 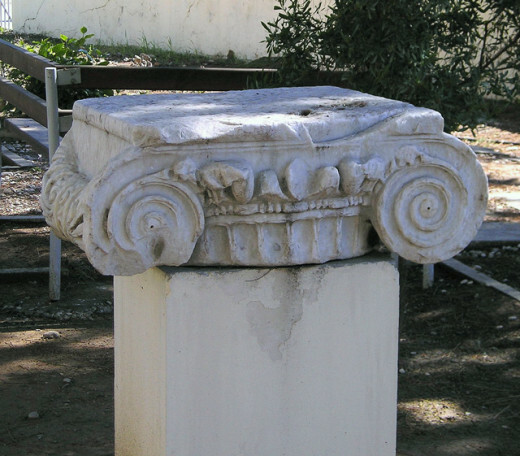 The Paphos Archaeological Museum offers a unique insight to the city’s historical past beginning from the Neolithic Era up until 1700 AD. The museum is made up of four exhibition rooms, where each room depicts the artefacts and findings of a different era. 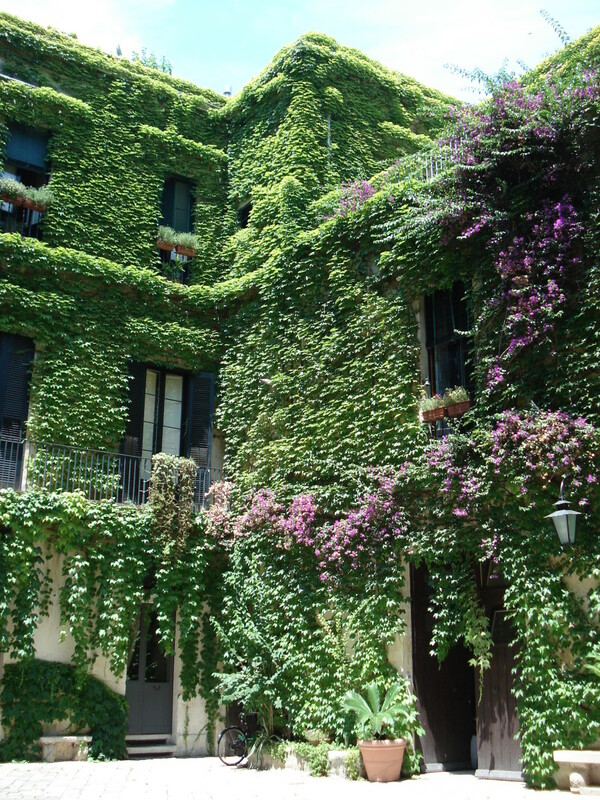 The Byzantine Museum depicts a collection dating from the 12th to 18th centuries. 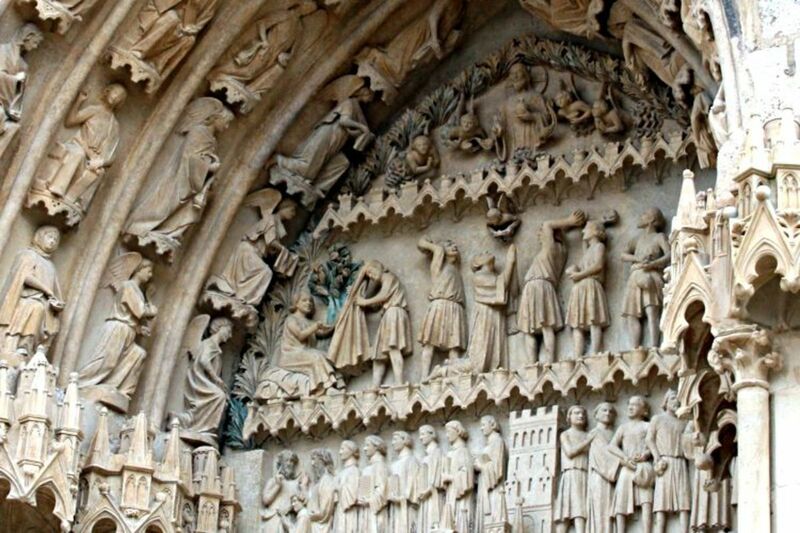 The exhibits include ecclesiastical icons, carvings and other religious-linked findings. 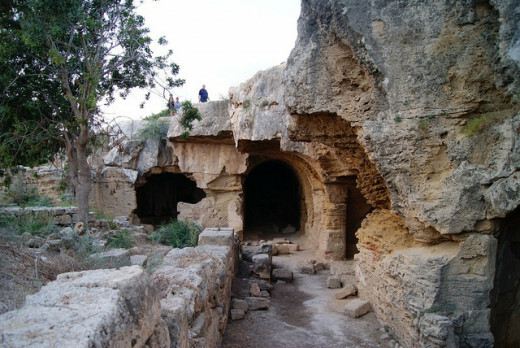 Garrison’s Camp is a group of 4thcentury underground chambers carved into stone. 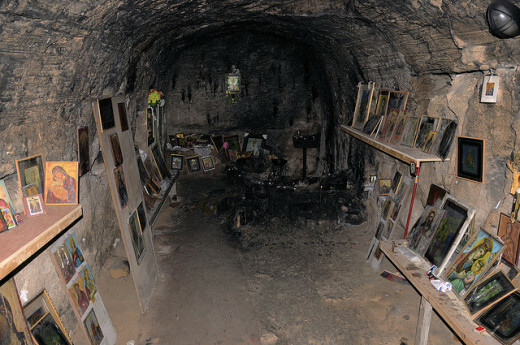 The chambers were probably soldiers’ living quarters. 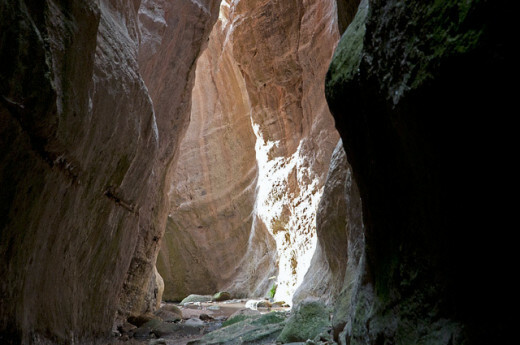 The beautiful gorge is every hiker’s dream due to the stunning views it offers and the rare local flora and fauna found as well as the wild animals that inhabit the area. 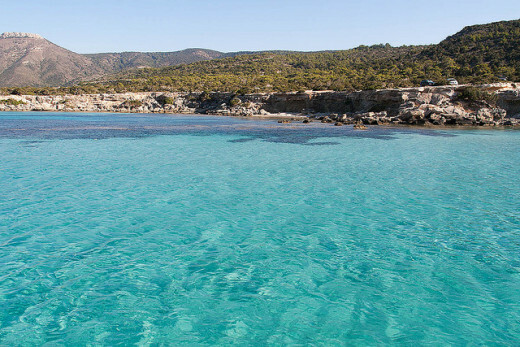 This magical bay is home to the Caretta Caretta turtles, which are protected in the area. Witness the miracle of nature in the process as the Caretta Caretta give life. 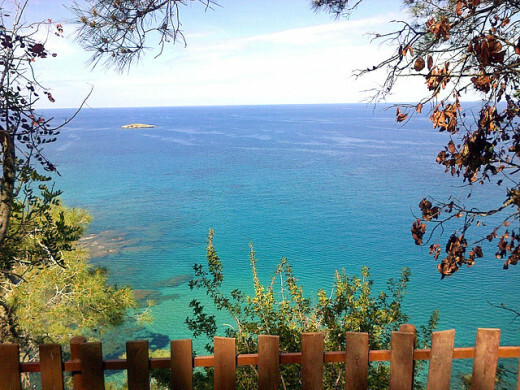 A paradise-like cove, tucked away within Akamas, is every man’s dream destination! Glistening blue-green waters stretch as far as the eyes can see! 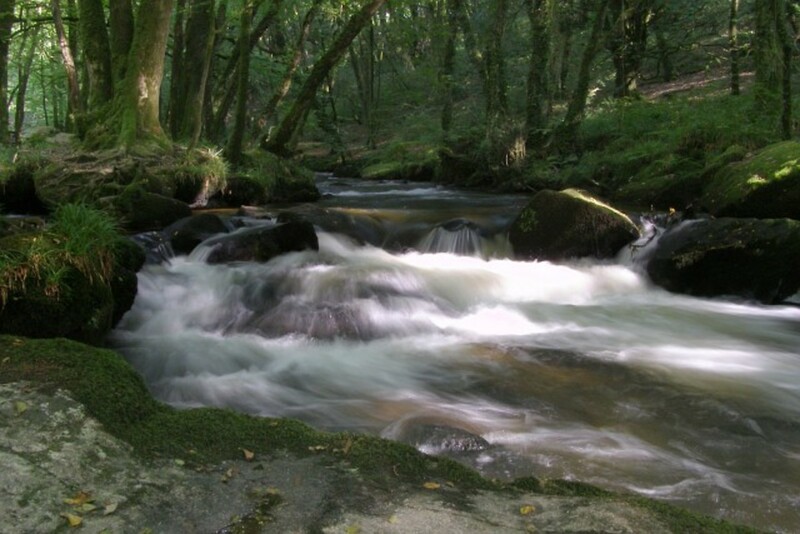 The goddesses’ baths are where she bathed under the shade of a soaring fig tree in a natural spring. As legend goes this is where Adonis and Aphrodite first met and fell in love at first sight! Apparently who ever drinks from the spring is granted eternal youth! Drink up! 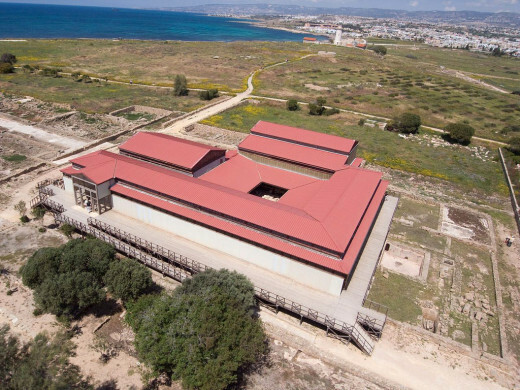 Paphos holds a Cultural Festival every September, where ancient Greek tragedies and comedies are brought to life. The performances are held at the famous and ancient Odeon Theatre! 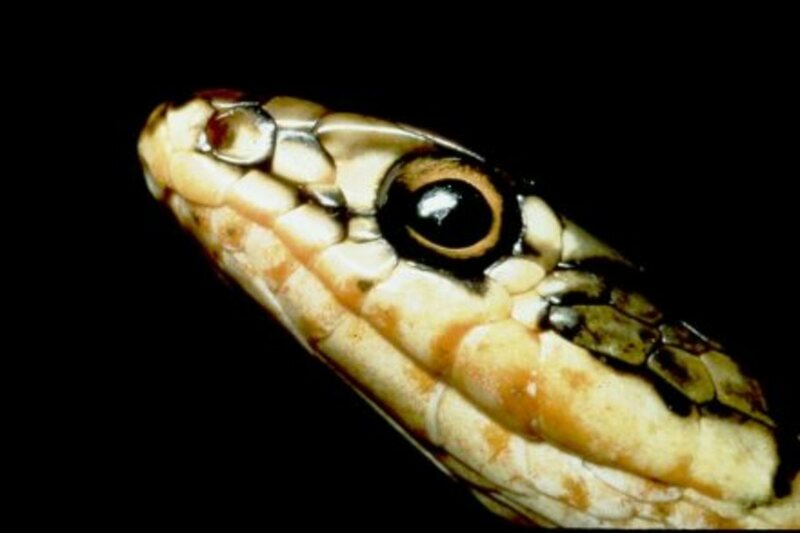 This fascinating park is home to more than 300 species of birds, snakes and mammals. The Pillar of Saint Paul was the spot where he was whipped 39 times as a form of punishment for preaching the word of God. Sometime later, Saint Paul succeeded in turning the Governor into a Christian-which led to Cyprus being the first Christian country in the entire world. 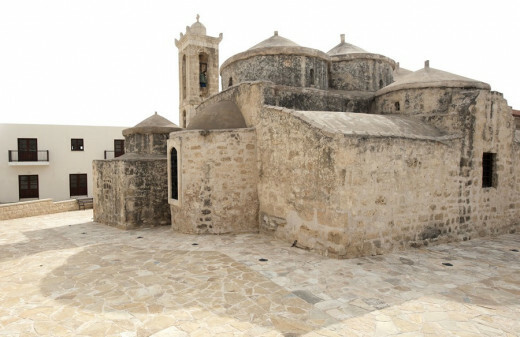 An elaborate 10th century Byzantine church, with five domes on the top which form a cross. The church is decorated with fine 15th century murals. 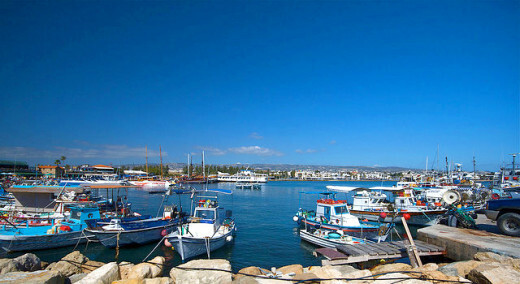 Paphos is a magical destination filled with cultural heritage, myths and tales of past civilisations and mystic gods. 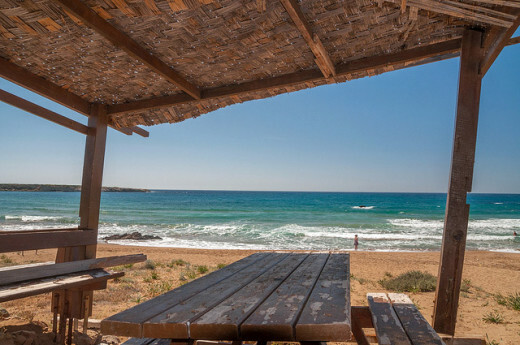 Above are the 30 reasons Paphos is the ideal holiday destination, a place of beauty and the island’s true gem! 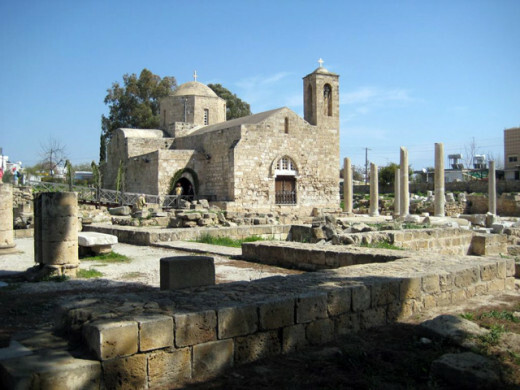 When Paphos will become the European Capital of Culture? Wonderful Hub. I lived in Paphos for many years and still miss so much about it. Voted up and awesome.